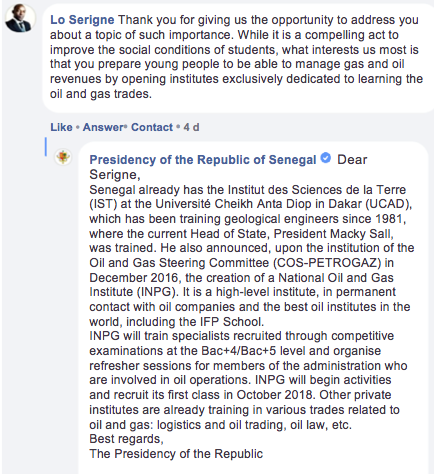 The latest session of “The Presidency answers your questions” offered you the opportunity to ask questions on two key topics championed by President Macky Sall in his inclusive policy: education and hydrocarbons. One of the highlights of Nationwide Dialogue Day proved to be the meeting between the Head of State and students from universities across the country. A time set aside for sharing, reflecting the President’s stated desire to listen directly to what the sectors and national players have to say, concluded with high-impact measures in favour of students. 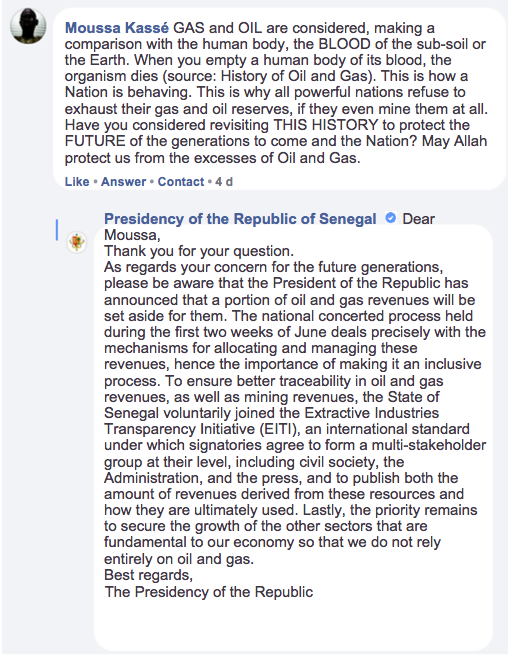 In the same dynamic for dialogue, the Head of State invited all the Nation’s driving forces to take part in the concerted process on how to manage future gas and oil revenues. A very large number of you submitted questions and we want to thank you. Below are the main questions that were addressed to us and the responses we provided. 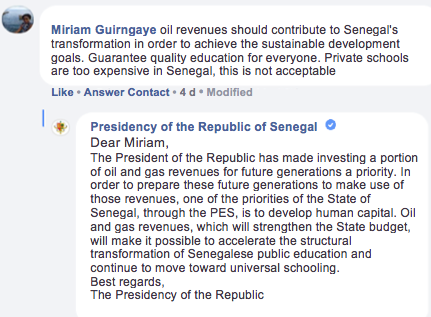 Future hydrocarbon revenues: what share will go to Senegal? 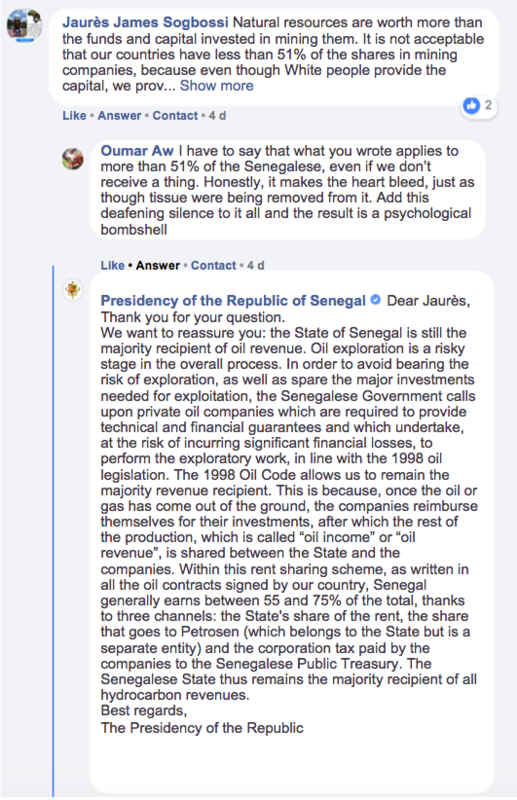 Should hydrocarbon resources be mined? How should these revenues be allocated?